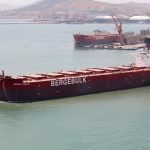 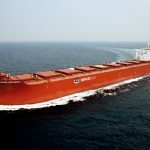 Berge Toubkal joins the Berge Bulk fleet as one of the largest bulk carriers in the world. 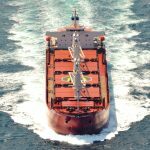 Named after the tenth highest mountain in the world, Berge Annapurna joins the Berge Bulk fleet and sails on the routes between Australia and China. 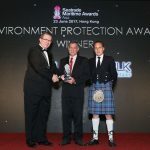 Berge Bulk wins the Environment Protection Award at the 10th Seatrade Maritime Awards Asia in Hong Kong. 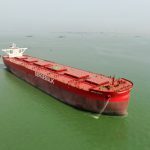 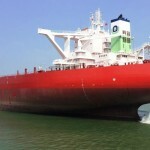 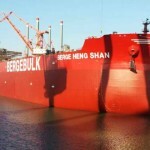 Berge Bulk welcomes the delivery of Berge Phan Xi Pang. 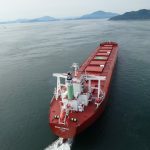 She is the 100th ship of the series produced at the Imabari Shipyard. 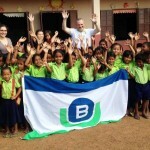 March-ing off to a great start! 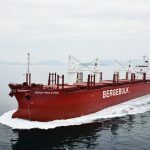 We welcomed two new vessels – Berge Sarstein and Berge Cho Oyu – to the Berge Bulk fleet on the first day of March, both sailing under the flag of Isle of Man. 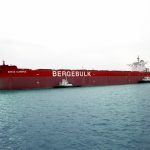 Originally time-chartered for a 10-year period, Berge Kosciuszko officially becomes an owned vessel within the Berge Bulk fleet. 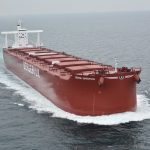 Berge Rishiri is the latest handy-size vessel to be added to the Berge Bulk fleet. 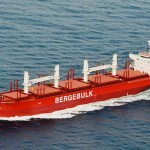 Berge Grossglockner adds another 210,000 DWT to the Berge Bulk fleet. 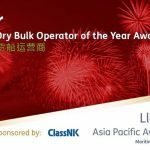 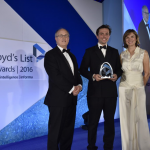 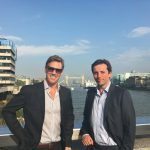 Berge Bulk wins the Lloyd’s List Global Dry Bulk Operator of the Year Award in London. 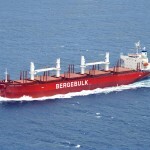 Berge Bulk welcomes its fifth handysize vessel, Berge Shari, to its growing and efficient fleet. 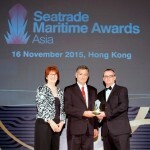 Berge Bulk receives the Seatrade Maritime Asia Environmental Protection Award for its ‘Blue Matters’ campaign. 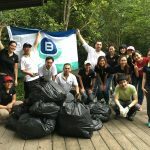 Office staff take to the swamps to keep them rubbish-free. 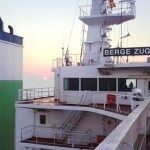 Berge Bulk welcomes the 210,000 DWT Berge Zugspitze into its safe and energy-efficient fleet. 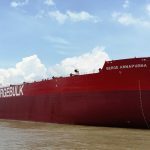 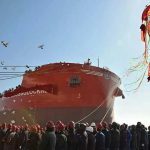 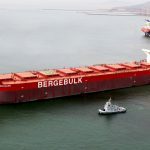 Less than a month after delivering its third handy-size vessel, Berge Bulk welcomed its fourth 34,000 DWT newbuild today. 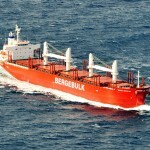 Berge Bulk delivers its third handy-size vessel, the 34,000 DWT Berge Asahidake. 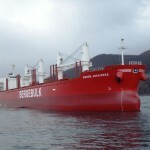 We are excited to welcome the new build Berge Makalu (262,000 DWT) to our fleet. 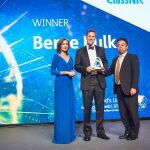 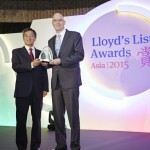 Berge Bulk wins the Lloyd’s List Asia “Safer, Cleaner Seas” Award 2015 for its continuous emphasis on Safety and its “Blue Matters” environmental campaign. 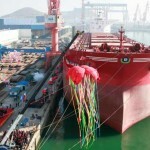 With the Berge K2, we welcome the first 262,000 DWT vessel into our fleet. 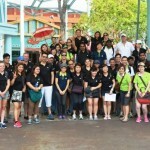 Staff challenged with the ‘Amazing Race’ for their annual team building event in Sentosa. 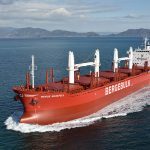 Welcome to a sister ship for Berge Hakodate. 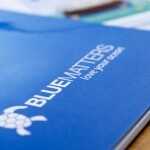 Berge Bulk launches its “Blue Matters” environmental campaign. 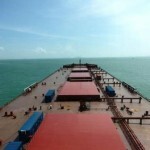 Welcome to the largest bulk carriers in the world. 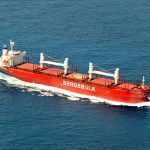 Berge Bulk expands its services and enters the handy-size market. 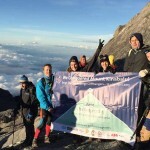 2015 starts with a big welcome to our beautiful Berge Tai Shan.